Northampton, UK – January 17, 2012 - Startech.com, a leading manufacturer of hard-to-find connectivity parts has announced the release of a rugged new 7-Port USB 3.0 Hub (ST7300USBM), which enables users to add multiple external USB 3.0 connection ports to a PC, server or thin client located within server rooms or industrial operating environments. The industrial-grade hub can be mounted to a wall or DIN rail, and features 350W surge protection on each port as well as a solid metal chassis designed to withstand harsh conditions. 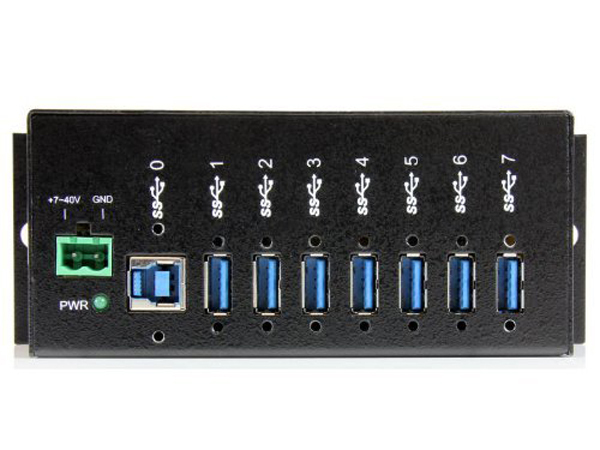 “This addition to our extensive USB 3.0 Hub product line provides more USB 3.0 connectivity and flexibility to areas that require the most modern device connectivity” said Carey Cline, Senior Product Manager for StarTech.com’s Industrial I/O product line. “The hub not only delivers the convenient option of wall or DIN rail mounted installation, but also an impact-resistant metal casing that is durable enough for industrial applications ”. RRP for StarTech.com’s new 7-Port USB 3.0 Hub (ST7300USBM) is £ 116.99 GBP excl. VAT in the UK. The hub is available for purchase from leading technology resellers including Insight, Amazon.co.uk and Dabs and is also distributed by Enta, Ingram Micro and Micro-P.
Additional information on this product can be found at http://www.StarTech.com/ST7300USBM. 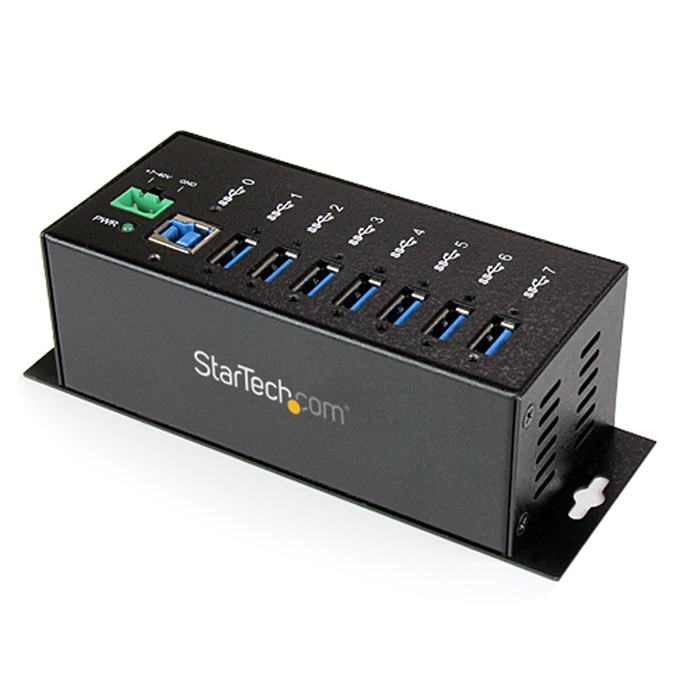 For more information on StarTech.com’s full line of USB 3.0 Hubs, please visit: http://www.StarTech.com/USB-3-Hubs. StarTech.com is an ISO 9001:2000 registered manufacturer of hard-to find connectivity parts including A/V products, computer parts, cables and server management solutions. Founded in 1985, StarTech.com has locations in the United States, Canada, The United Kingdom, Europe and Taiwan, servicing a worldwide market. SuperSpeed USB brings significant performance enhancements to the USB standard, while remaining compatible with the billions of USB-enabled devices currently deployed in the market. SuperSpeed USB supports 10x the data transfer rates of Hi-Speed USB, as well as improved power efficiency.